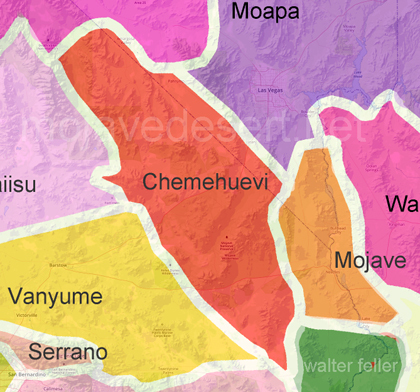 The Chemehuevi territory lay off the lower Colorado River north and west toward Death Valley and west to about the Providence Mountains. 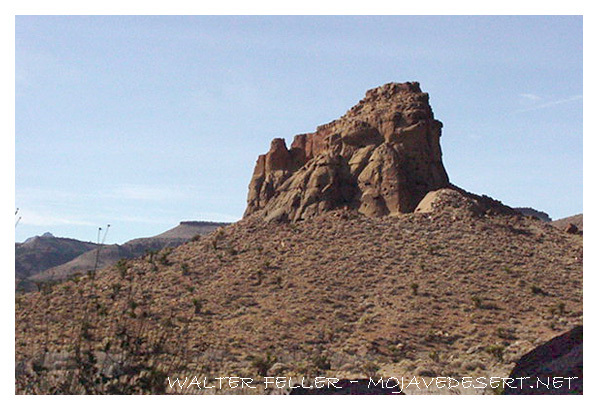 A less populated somewhat undefined strip stretched as far west as the foothills of the Sierra Nevada and north of the Mojave River. 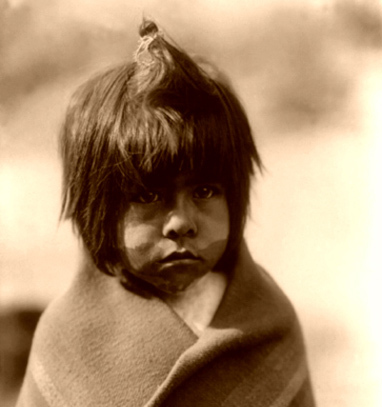 They neighbored the Koso and Serrano and were intimate with the Mohave, who after chasing the Halchidhoma and Kohuana eastward brought them to Cottonwood Island to live. 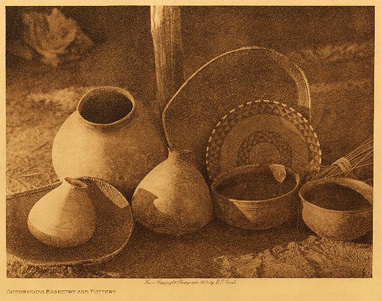 In 1867 after a war with the Mohave, the Chemehuevi, moved westward toward the Twentynine Palms area shared the Oasis of Mara with the Serrano. 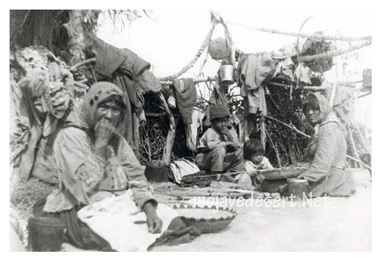 The Chemehuevi name for themselves is Nüwü, meaning simply, "people". The Serrano call them Yuakayam. 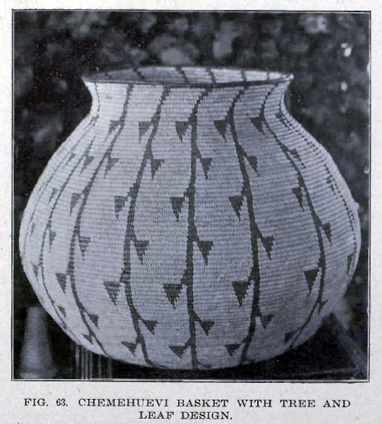 The Yuma call them Mat-hatevach, meaning "northerners," and the Pima: Ahalakat, "small bows".